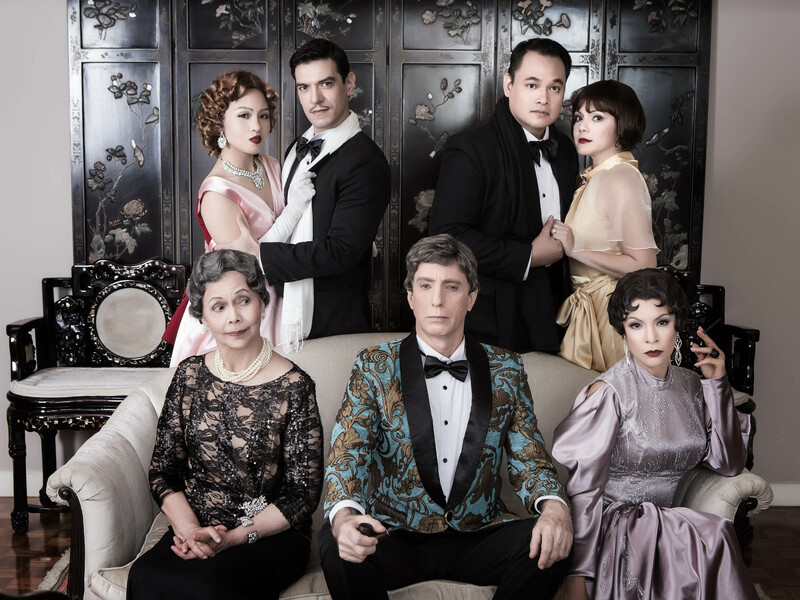 Mica Pineda, Hans Eckstein, Jeremy Domingo, Christine Flores, Joy Virata, Paul Holme, and Pinky Amador headline Ken Ludwig’s The Game’s Afoot, a comedy-mystery that follows William Gillette, a Broadway star known for his portrayal of detective Sherlock Holmes, both in the play and in real life. He invites his castmates to his Connecticut castle for a weekend, where someone ends up dead. Gillette must channel his inner Holmes to track the killer and stop the next death. Repertory Philippines has established itself as the premier producer of thought-provoking and entertaining straight plays and musicals. Since 1967, it has produced more than 400 high-caliber shows, and 2016 is set to be another impressive year for theatergoers. For its 79th season, Repertory is launching five plays that will intrigue, inspire, captivate, and bring out the inner child of every viewer. From January 15 to February 7, Repertory is staging The Game’s Afoot, a comedic play by Ken Ludwig set in the 1930’s. The story follows William Gillette, a Broadway star known for his portrayal of detective Sherlock Holmes, both in the play and in real life. In The Game’s Afoot, he invites his castmates to his castle in Connecticut for a weekend of fun and games, until someone turns up dead. Gillette must channel his inner Holmes to track the killer and stop the next death. In 2012, The Game’s Afoot won Best Play at the Edgar Allan Poe Awards, an award-giving body hosted by the Mystery Writers of America. 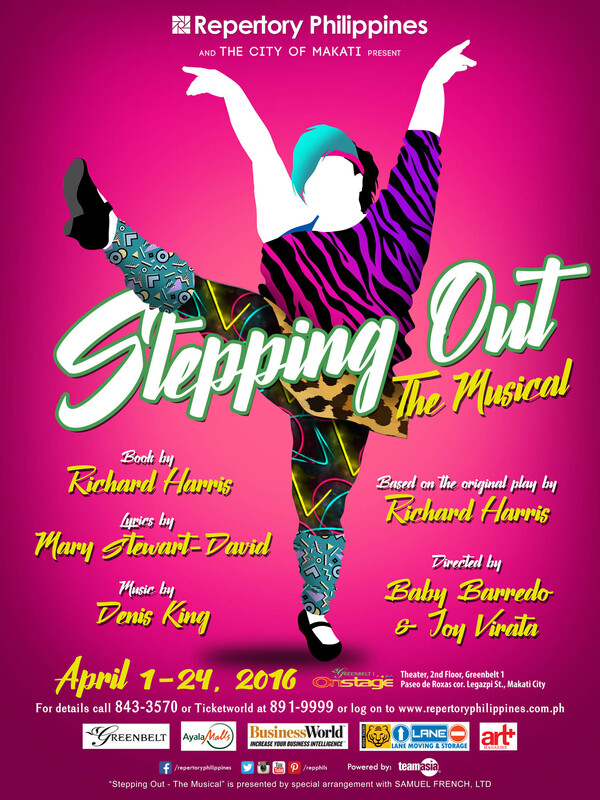 For the summer, Repertory is staging Stepping Out from April 1 to 24. Stepping Out, a lively comedy by Richard Harris, tells the story of former chorus girl Mavis who teaches a dance class in a dingy church hall in London. While learning the basics of body language and movement, Mavis must deal with the drama cooking up in the studio. Since it premiered in 1984, it has been staged most notably the West End in London and Broadway in New York. Stepping Out was awarded Best Comedy at the London Evening Standard Theatre Awards, organized by notable British critics and editors. Stepping Out will star Bituin Escalante, Cara Barredo, David Shawn Delgado, Sheila Francisco, Sheila Valderrama-Martinez, and Sweet Plantado Tiongson as members of a dance class trying to learn the basics of tap while developing friendships. Stepping Out was awarded Best Comedy at the London Evening Standard Theatre Awards, organized by notable British critics and editors. 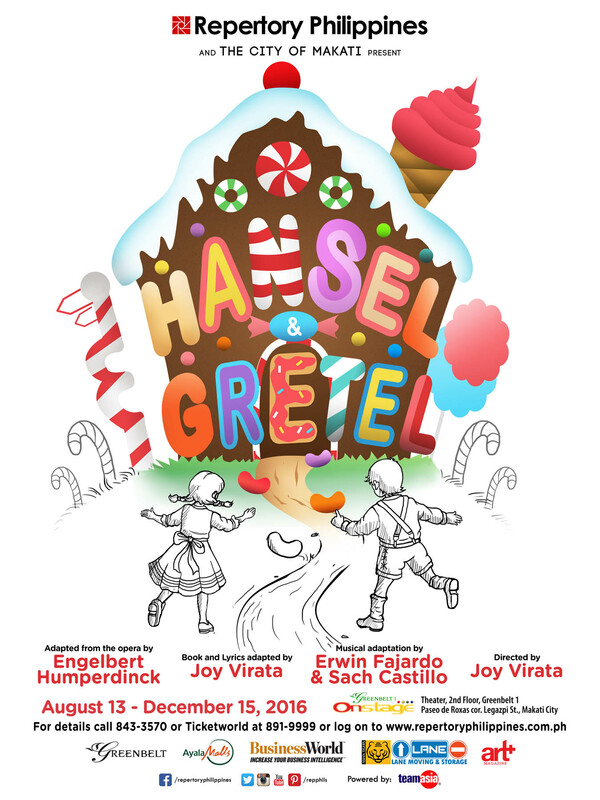 Repertory has a history of producing child-friendly plays like Pinocchio, Snow White and the Seven Dwarfs, and Camp Rock the Musical, and the company is also staging Hansel and Gretel from August 20 to December 15 for the young and young-at-heart. This delightful interpretation of the Brothers Grimm classic follows siblings Hansel and Gretel through their journey in the woods. There, they see a fantastically-designed house made of gingerbread, candy, and ice cream. When they start to eat it, until they are caught and trapped by the witch that lives there. The two must work together to outwit the evil witch and escape the sugary house of horrors. Repertory has a sweet treat for kids and the kids at heart with Hansel and Gretel, the Brothers Grimm classic about siblings that eat a witch’s candy house. Running simultaneously with Hansel and Gretel is A Little Princess. Based on the children’s novel by Frances Hodgson Burnett , A Little Princess tells the story of Princess Sarah, who suffers at the hands of Miss Minchin at a boarding school in London. Things turn for the worse when her father dies and she becomes a pauper. The musical will run from November 18 to December 18. 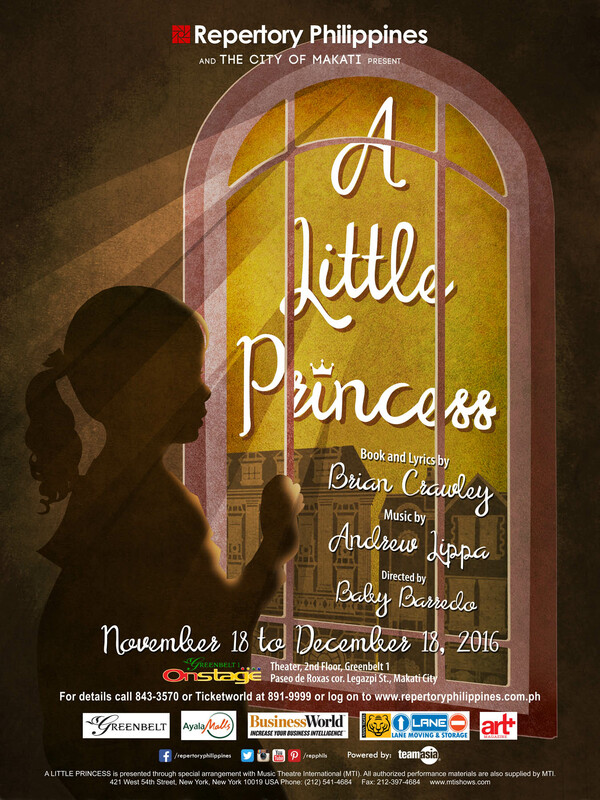 To round the year, Repertory is presenting the musical A Little Princess, which tells the story of Princess Sarah, who suffers at the hands of Miss Minchin at a boarding school in London. Things turn for the worse when her father dies and she becomes a pauper. Compared to watching on the big screen or on a television, nothing beats the immediacy, intimacy, and raw talent showcased in stage plays. 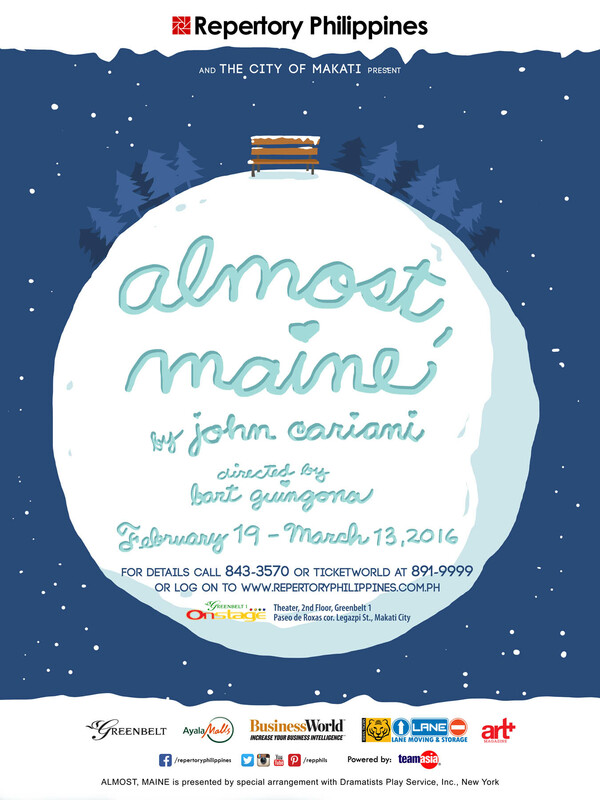 Repertory is expected to thrill theatergoers this 2016 with its lineup of shows, a diverse mix of comedy and drama for audiences of all ages. See you at the theater! For more details, inquiries on ticket or show buying, call Repertory Philippines at 843-3570 or visit the website at http://www.repertoryphilippines.ph/.